In a democracy, the ultimate responsibility for a nation’s actions rests with its citizens. The top rung of government – the entity with the ultimate power of governance – is the asserted will of the people. Therefore, in any democracy, it is essential that its citizens be fully and accurately informed. In the United States, currently the most powerful nation on earth, it is even more essential that its citizens receive complete and undistorted information on topics of importance, so that they may wield their extraordinary power with wisdom and intelligence. Unfortunately, such information is not always forthcoming. The mission of If Americans Knew is to inform and educate the American public on issues of major significance that are unreported, underreported, or misreported in the American media. It is our belief that when Americans know the facts on a subject, they will, in the final analysis, act in accordance with morality, justice, and the best interests of their nation, and of the world. With insufficient information, or distorted information, they may do the precise opposite. It is the mission of If Americans Knew to ensure that this does not happen – that the information on which Americans base their actions is complete, accurate, and undistorted by conscious or unconscious bias, by lies of either commission or omission, or by pressures exerted by powerful special interest groups. It is our goal to supply the information essential to those responsible for the actions of the strongest nation on earth – the American people. We believe all people are endowed with inalienable human rights regardless of race, religion, ethnicity, sexuality, or nationality. We believe in justice, fairness, and compassion and in treating all human beings with respect, empathy, and in the manner in which we would wish to be treated. Our materials and information are available to all. We feel it is essential that these facts be learned by every possible person. The positions of If Americans Knew are represented in our statements and writings alone, and the views of those who distribute our materials, articles, or interviews do not necessarily represent those of If Americans Knew. Israel is the largest recipient of US. aid in the entire world. It receives more aid than that given to all the countries of sub-Saharan Africa, Latin America and the Caribbean, put together. Israel receives about $8.4 million dollars per day from the United States, and there is evidence that the total cost to American taxpayers is closer to $15 million a day. Yet this information is almost never printed in American newspapers. Coverage of the Middle East in general, and of Israel in particular, virtually never reports this enormous American connection with this region. Empowered by American money, Israel is occupying land that does not belong to it, is breaking numerous international laws and conventions of which it is a signatory, and is promulgating policies of brutality that have been condemned by the United Nations, the European Union, the National Council of Churches, Amnesty International, the International Red Cross, and numerous other international bodies. This truth is also rarely reported. Through the money and weaponry provided by the United States, Israel is imposing an ethnically discriminatory nation on land that was previously multicultural. There is ethnic and religious discrimination inherent in its national identity, and a doctrine of the supremacy of one group over all others permeates its political, financial, and military policies. This also is virtually never reported. There are a variety of organizations and individuals in Israel who are protesting their government's policies, and who are working strenuously and courageously on behalf of human rights and justice. It is their intent to create a just and fair nation with equal rights for all its citizens. They are refusing to serve in the military occupation of the West Bank and Gaza, and are actively trying to prevent Palestinian homes from being bulldozed. These actions are also not covered in the American media. American support of the Israeli government is against our national interest on every level: It places us at war with populations whose desperate plight we are helping to create, and who, quite correctly, place the responsibility for their sufferings on us. It makes us an accomplice to war crimes and an accessory to oppression. This also is not reported. In analyzing the American media, we are increasingly discovering a cover-up of appalling proportions. Israel is being protected, the news about Palestinians in particular and Arabs in general is being distorted, and the American public is being manipulated. We believe strongly that if Americans knew the truth about Israel and Palestine -- about the massive amount of our tax money that is being given away to Israel, and about the human costs of Israel's American-financed militarism -- they would demand an immediate re-thinking of our policies in this region. It is the goal of If Americans Knew to inform the American public accurately about this area. Most of all, it is to inform Americans about our enormous, and too often invisible, personal connection to it. Americans, through our blank check to Israel, are empowering the worst elements of Israeli society, and undermining those working for a just, peaceful, and nondiscriminatory nation. We are driving the violence in this region. Fortunately, the American media cover many events in Israel with great detail and thoroughness. Therefore, we are not repeating that coverage here. Instead, we are attempting to fill in the many important news items – most of them about incidents in the Palestinian territories – that are not available in the U.S. media. For more thorough daily coverage of the region, view “The Missing Headlines,” and our recommended sources of daily news. Palestinians in the West Bank and Gaza Strip live in an odd and oppressive limbo. They have no nation, no citizenship, and no ultimate power over their own lives. Since 1967, when Israel conquered these areas (the final 22 percent of mandatory Palestine), Palestinians have been living under Israeli military occupation. While in some parts Israel has allowed a Palestinian “autonomous” entity to take on such municipal functions as education, health care, infrastructure and policing, Israel retains overall power. According to international law, an occupying force is responsible for the protection of the civilian population living under its control. Israel, however, ignores this requirement, routinely committing violations of the Geneva Conventions, a set of principles instituted after World War II to ensure that civilians would “never again” suffer as they had under Nazi occupation. Israel is one of the leading violators of these conventions today. Israeli forces regularly confiscate private land; imprison individuals without process – including children – and physically abuse them under incarceration; demolish family homes; bulldoze orchards and crops; place entire towns under curfew; destroy shops and businesses; shoot, maim, and kill civilians – and Palestinians are without power to stop any of it. When a child is arrested, for example – often by a group of armed soldiers in the middle of the night – parents can do nothing. Knowing that their son is most likely being beaten by soldiers on the way to the station, stripped and humiliated in prison, quite likely physically abused in multiple additional ways, and destined to be held – perhaps in isolation – for days, week, or months (all before a trial has even taken place), parents are without the ability to protect their child. Quite often, in fact, they cannot even visit him. Perhaps most significant – and rarely understood by people in the outside world – is the fact that Palestinians live, basically, in a prison in which Israel holds the keys. They cannot leave Gaza or the West Bank unless Israeli guards allow them to. If they have been allowed out, they cannot return to their homes and families unless Israeli guards permit it. 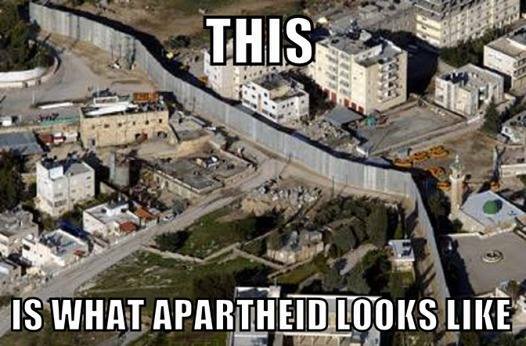 Frequently, in both cases, Israel refuses such permission. Academics invited to attend conferences abroad, high school students given US State Department scholarships to study in the United States, mothers wishing to visit daughters abroad, American citizens returning to their families, humanitarians bringing wheelchairs – the list goes on almost without limit – have all been denied permission by Israel to leave or enter their own land. Living under such hardship and humiliation, in the year 2000 the Palestinian population began an uprising against Israeli rule called the “Intifada.” This term – rarely translated in the American media – is simply the Arabic word for uprising or rebellion – literally, it means “shaking off.” The American Revolutionary War, for example, would be called the American intifada against Britain. During this first uprising, which consisted largely of Palestinians throwing stones at Israeli troops (very few Palestinians had weapons), Palestinians were killed at a rate approximately 7-10 times that of Israelis. Today’s uprising – termed the “Second Intifada” – was sparked when an Israeli general, Ariel Sharon, known for his slaughter of Palestinian civilians throughout his career, visited a Jerusalem holy site, accompanied by over a thousand armed Israeli soldiers. When some Palestinian youths threw stones, Israeli soldiers responded with live gunfire, killing 5 the first day, and 10 the second. This uprising has now continued for over five years, as Israel periodically mounts massive invasions into Palestinian communities, using tanks, helicopter gunships, and F-16 fighter jets. Palestinian fighters resisting these forces possess rifles and homemade mortars and rockets. A minute fraction strap explosives onto their own bodies and attempt to deliver their bombs in person; often they kill only themselves. While the large majority of Palestinians oppose suicide bombings, many feel that armed resistance has become necessary – much as Americans supported war after the attack at Pearl Harbor. Nevertheless, only a small portion take an active part in the resistance, despite the fact that virtually all support its aim: to create a nation free from foreign oppression. Most Palestinians attempt – with greater or lesser success – to go on with their lives, raise their children, attend school, go to work, celebrate festivals, organize weddings, raise their crops, provide for their families – all the things that preoccupy people around the world. As Israel constructs a wall around them, however, prevents them at checkpoints from traveling from town to town, destroys their crops, prevents children from traveling to schools and the sick and injured from getting to the hospitals, it is becoming increasingly difficult to live even an approximation of a normal life. Most Palestinians feel that the Israeli government’s intention is to drive them off the land, and there is a great deal of evidence that this is the goal of many Israeli leaders. At the same time, however, there is a small but determined minority of Israelis, joined by citizens from throughout the world, who are coming to the Palestinian Territories to oppose Israeli occupation. These “internationals,” as they are often called, take part in peaceful marches, attempt to help Palestinian farmers harvest their crops despite Israeli military closures, live in refugee camps in the hope that their presence will prevent Israeli invasions and shelling, and walk children to school. They are sometimes beaten, shot, and killed. Meanwhile, the semblance of Palestinian autonomy continues. Elections held in January, 2005, resulted in new Palestinian leadership that will govern under occupation and will attempt to negotiate eventual Palestinian liberation. Yet even this election demonstrated Israel’s power, as various Palestinian candidates were arrested, detained, and sometimes beaten by Israeli forces. This aspect, however, like so much else, was rarely reported by the American media. "The Israel Lobby and U.S. Foreign Policy"
*Source: The Congressional Research Service's report "U.S. Foreign Aid to Israel," written by Jeremy M. Sharp, Specialist in Middle Eastern Affairs, dated December 22, 2016. Read our memo on the new 10-year $38 billion aid package to Israel just signed by President Obama. According to the report, the United States gave Israel $3.1 billion for Fiscal Year 2016 in direct bilateral military aid (also referred to as Foreign Military Financing or FMF). Congress also gave $487.6 million to "joint" U.S.-Israel missile defense programs (designed to protect Israeli territory from potential outside threats), bringing total military aid to Israel to $3.6 billion per year. Put another way, American taxpayers give Israel $9.8 million per day (in 2016). Over the last 20 years, the U.S. has slowly phased out economic aid to Israel and gradually replacing it with increased military aid. In September 2016, the United States and Israeli governments signed a new ten-year Memorandum of Understanding (MOU) where the U.S. pledged to give Israel $38 billion in military aid ($33 billion in FMF grants plus $5 billion in missile defense) over the course of 10 years (FY2019 to FY2028). This new MOU replaces the current $30 billion 10-year agreement signed by the Bush Administration that will expire in 2018. Israel is by far the largest recipient of U.S. foreign military aid (see how other nations compare). According to the CRS report, the President's request for Israel for FY 2017 will encompass approximately 54% of total U.S. foreign military financing worldwide. The report continues, " Annual FMF grants to Israel represent approximately 18.5% of the overall Israeli defense budget. Israel’s defense expenditure as a percentage of its Gross Domestic Product (5.4% in 2015) is one of the highest percentages in the world." Thanks in part to this indirect U.S. subsidy, Israel’s arms industry has become one of the strongest in the world. Between 2001 and 2008, Israel was the 7th largest arms supplier to the world, selling $9.9 billion worth of equipment. And it continues to grow stronger. In 2015, Israel sold $5.7 billion in military goods to other countries. The former assistant Secretary of Defense from 2007 to 2009 asked, "How inexplicable is it that we are competing against the Israelis in the Indian defense procurement market at the same time we are subsidizing the Israeli defense industry?" A U.S. government source estimates that Israel is using approximately $1.2 billion each year (38.7% of the aid it receives from the U.S.) to "directly support its domestic budget rather than to build on its arsenal of advanced US equipment." The United States also contributes funds for a joint U.S.-Israeli Missile Defense Program designed to thwart short-range missiles and rockets fired by non-state actors (such as Hamas and Hezbollah) as well as mid- and longer-range ballistic missiles (this refers to Iran and/or Syria's arsenals). Arrow II, Arrow III, David's Sling, and Iron Dome refer to different projects under the umbrella of this Missile Defense program. In 2016, the U.S. spent $487.5 million on these programs and plans to spend between $280 and $601 million in 2017 (depending on Congressional approval). By all accounts the United States has given more money to Israel than to any other country. The Congressional Research Service’s conservative estimate of total cumulative US aid to Israel from 1949 through 2015 is $127.4 billion (not adjusted for inflation) . An October 2013 Washington Report article “A Conservative Estimate of Total Direct U.S. Aid to Israel: $130 Billion,” by Shirl McArthur, puts the cumulative total even higher. **Source: The Congressional Research Service's Report “U.S. Foreign Aid to the Palestinians”, written by Jim Zanotti, Analyst in Middle Eastern Affairs, dated December 16, 2016. According to the report, the U.S. government has never provided Palestinians with military aid. "The Department of Defense Appropriations Act, 2015 (H.R. 4870), which passed the House in June 2014, contained provisions that would prohibit funds made available by the act from being obligated to the PA (§10033) or from being used to transfer weapons to the PA (§10024)." Aid to Palestinians is largely designated for the policing of their own people as well as for humanitarian and development needs. Such funds are only authorized once Congress has received proof that they will be used for "non-lethal assistance." The aid request for FY 2017 is $362.6 million. Palestinian experts say that U.S. aid to the Palestinian Authority actually helps Israel maintain it's illegal occupation of Palestinian land. "Security collaboration" between the PA and Israel means that Palestinian police are being outsourced to monitor and respond to Palestinians resisting the Israeli occupation or protesting against Israel's assaults on Gaza. U.S. aid to the PA also makes it easier and cheaper for Israel to spend its own US aid on security for its Jewish-only settlements built on confiscated Palestinian land, which is also illegal under international law. Recent research has shown that at least 78% of international aid money to the West Bank and Gaza ends up in Israel's economy. The Israeli-Palestinian conflict is one of the world's major sources of instability. Americans are directly connected to this conflict, and increasingly imperiled by its devastation. It is the goal of If Americans Knew to provide full and accurate information on this critical issue, and on our power – and duty – to bring a resolution. Please click on any statistic for the source and more information.